During spring break, 51 University of Scranton students participated in service trips to Homeboy Industries/ Dolores Mission in Los Angeles, California; St. Michael’s Association for Special Education in St. Michael, Arizona; Christian Appalachian Projects in Kentucky; St. Francis Inn in Philadelphia, The McKenna Center in Washington, D.C.; and Experience Missions in Puerto Rico. Fifty-one University of Scranton students built homes, served at-risk youth and prepared meals for the homeless during their participation in six domestic service trips, organized by Campus Ministries’ Center for Service and Social Justice, over spring break. 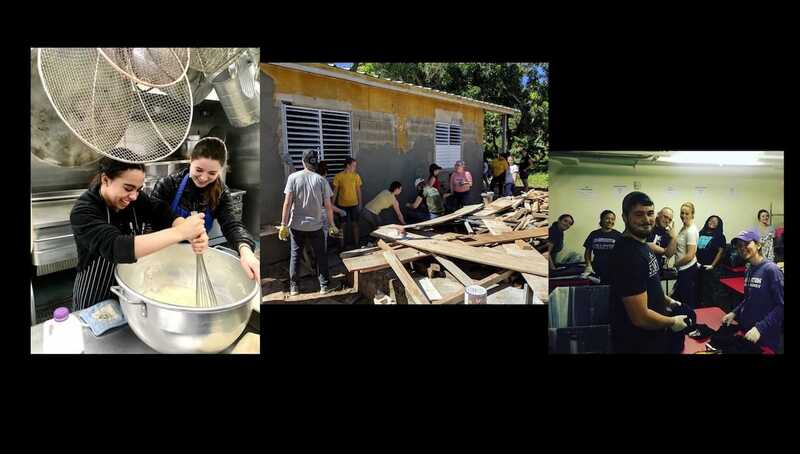 Students volunteered at the following service organizations: Homeboy Industries/ Dolores Mission in Los Angeles, California; St. Michael’s Association for Special Education in St. Michael, Arizona; Christian Appalachian Projects in Kentucky; St. Francis Inn in Philadelphia, The McKenna Center in Washington, D.C.; and Experience Missions in Puerto Rico.